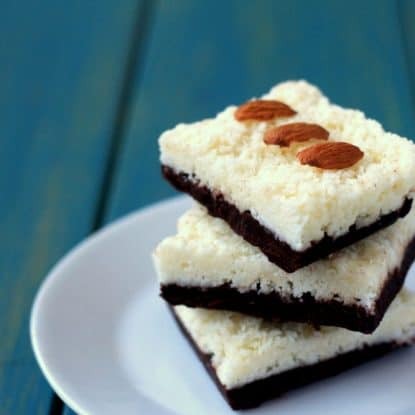 These No-Bake Almond Joy Bars are a coconut and chocolate lovers dream! 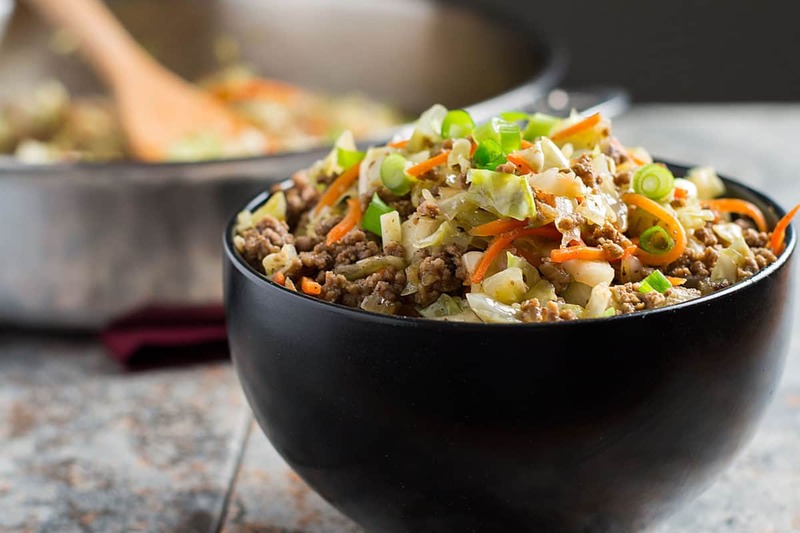 They're easy to make, freeze well & are loaded with healthy ingredients, plus they work for almost any special diet–they are low-carb, paleo and vegan too. I just love easy to make treats like my chocolate avocado truffles, these no-bake chocolate mint bars, my silky bean fudge, chocolate chia pudding, and homemade JELLO®. But this recipe for Healthy Almond Joy Bars has got to be one of our all time favorites. This recipe is one of the first healthy desserts that I made after starting on my sugar-free diet a few years ago and it's been one of our favorites. 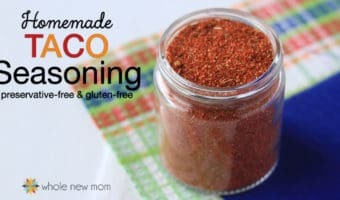 I've shared it with sugar-free folks and non SFF (:-)) alike and everyone has loved it. In fact, I just dropped a batch off to my best friend in celebration of her baby's baptism. 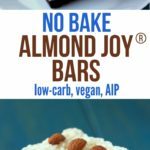 My original post on Healthy Almond Joy Bars was just after I started blogging, and it was pretty good as it was. But thanks to a reader's alterations to my recipe and another update of my own, I think it now pretty amazing. And a great healthy chocolate recipe for us chocolate and sugar loving folks! If you need to watch your caffeine and stimulants intake, just substitute carob for the chocolate, or use half and half. These taste great that way too. These taste great freshly made, but we love to keep them in the fridge or freezer to keep their shape and they do not travel well in warm weather. You could make them with cocoa butter instead of coconut oil so they will hold up better in warmer temps. Unlike the store bought bar candy, these bars are made with all whole food ingredients and since they are a bar variety, they are easier to whip up than molded candies. 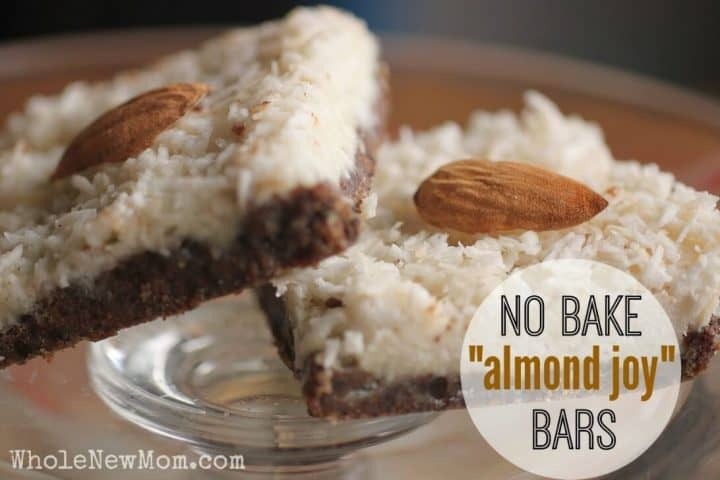 These Healthy Almond Joy Bars are a real plus for busy folks like me. This recipe calls for stevia (though you can use an alternative sweetener if you like). I use these stainless steel mini measuring spoons for all my stevia extract uses. The 2nd smallest scoop is 1/32 of a teaspoon (which equals 1 scoop). These spoons are a MUST if you bake with stevia. Very helpful. 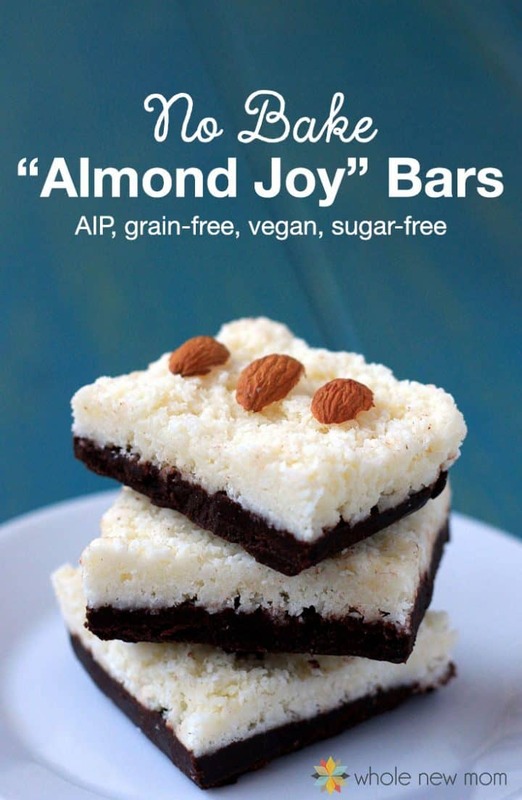 this Healthy Almond Joy Bars recipe is for you. Let me know what you think! 1. 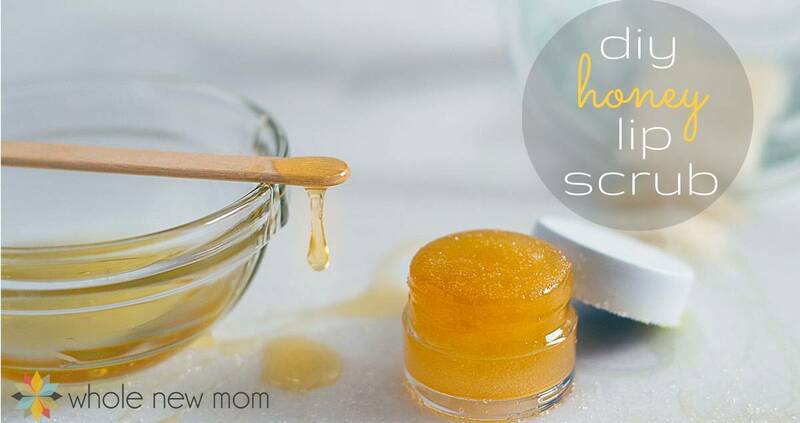 Make sure to read my tips on Substituting Sweeteners for Cooking and Baking. You can use whatever you have on hand! 2. If using stevia, all extract powders are not created equal. I have used KAL in the past. NuNaturals is my current favorite, but I will be trying SweetLeaf soon. You can find NuNaturals at a better price on Iherb, one of my favorite places for supplements and health products. Their liquid stevia drops are wonderful and like NuNaturals, their processing technique is chemical free which I like. 3. Stevia extract is SUPER sweet. 1 scoop equals 1/32 tsp. The scoop comes in the package. So a little goes a loooooong way. 4. Some have asked about the multiple sweeteners in the recipe. I do this to make a more natural tasting end product plus to minimize any adverse health effects that might turn up from using any one of these alternative sweeteners. You can read more in this post on Stevia – What it Is and How to Use It. 5. For the 1 1/2 scoops stevia, you could also use vegetable glycerine, xylitol, erythritol, or any combination thereof. I really like using low-carb sweeteners due to being on a candida diet, which I started a number of years ago. Use a little more if using erythritol since it isn't as sweet. You could use my DIY Truvia as well. 6. Some AIP notes are in the recipe–use carob, coconut butter, and an approved sweetener. 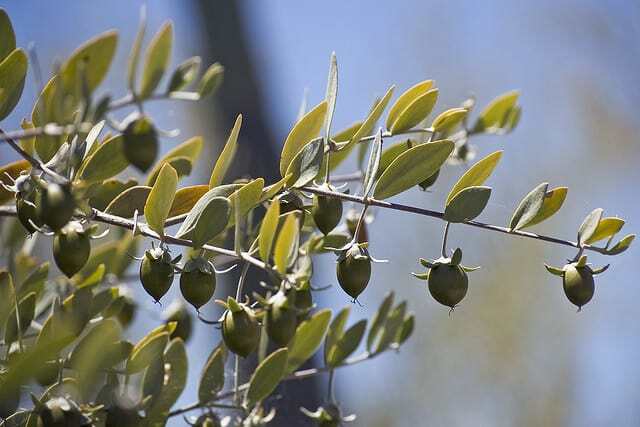 Oil Options: You can substitute palm shortening, as well as butter, for the coconut oil. Nut or Seed Butter: You could substitute any nut or seed butter, but almond is especially nice. See Homemade Nut / Seed Butter for a make-your-own option. Use coconut butter for AIP. Here's how to make your own. Sweetener: Organic erythritol can be used instead of xylitol (just add 1/3 of the original amount). For every 2 Tbsp xylitol, 1/32 tsp stevia extract can be used. 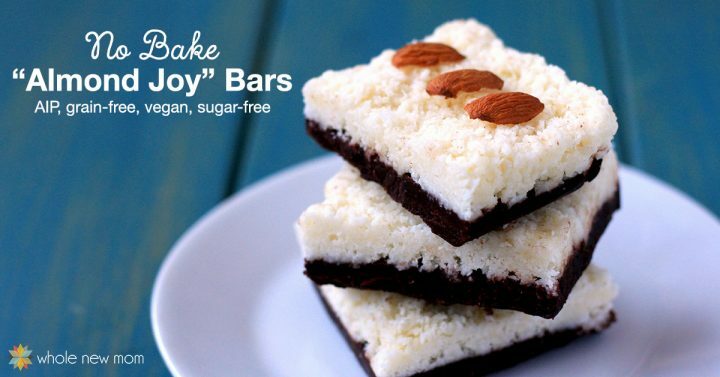 These No-Bake Healthy Almond Joy® Bars are one of our fave recipes. They easy to make, freeze well & are loaded with coconut oil & other healthy ingredients. Melt oil and nut / seed butter over low heat. Stir in cocoa / carob (sifted if you like, but I have never bothered with this) and granulated sweetener and combine thoroughly. Mix in remaining ingredients except for vanilla. Continuously stir until it slightly thickens, then remove from heat. Pour the mixture into an 8×8 pan and place in freezer to harden while you make the topping. If you don't have room in your freezer, the fridge will get it solid enough to work with. Melt oil in small pan and add coconut flakes. Stir. Add remaining ingredients. Simmer and stir until it thickens a bit. Once the chocolate is hardened, gently smooth the coconut mixture on top. Place slivered or whole almonds on top (optional). Place bars back in the freezer until hardened. Again, the fridge will work, but it will take longer. Slice into squares of desired size and enjoy! They'll be too hard to cut right out of the freezer so let them thaw a bit first. I read that you’re working on posting nutritional info with recipes. I’d like to be able to keep track of carbs, but take your word that these are low carb and make them. Yum! Thank you! We are working on it. All kinds of things that are taking up time but we will get to it! I am still learning about sweeteners. Some are 1:1 and others are 2:1. I know serve is 1:1. Does Swerve measure like xylitol? Xylitol is 1:1 for sugar as well, so yes. Since xylitol kills good and bad bacteria (plus it upsets most people’s stomachs) I would suggest a combo of erythritol and stevia, which I guess is Truvia. I have always been partial to Almond Joy bars but now want to stay away from the sugar. Got a recipe for Snickers? Hi Jean – thanks for reading! I have done some research into xylitol and stevia and erythritol and it’s complicated. I haven’t seen anything conclusive about xylitol killing gut bacteria–have you? In fact, I know some who tolerate it better than erythritol, so I guess it’s best to use what works for you. Anyhow, I hope you like these whatever you use! I don’t but I can try on the Snickers. LOVE them!! !